Impact of Artificial Intelligence on Design & Dev - CTRL+CLICK CAST - We inspect the web for you! Your browser doesn't support HTML5 audio, and won't play Impact of Artificial Intelligence on Design & Dev with Jason Tselentis. You can download this episode to play on your preferred media device, or you can read our transcript. Will artificial intelligence (AI) make designers and developers obsolete? Or does AI and machine learning offer opportunity? Designer and educator Jason Tselentis joins us for a thoughtful discussion about how AI and machine learning are impacting creative fields today, as well as what the future may hold. Jason explains the nuances between AI and machine learning, and offers examples of both already a part of many design professionals’ daily lives. We discuss the fears and paranoia often associated with AI “taking over,” as well as the idea of AI as an evolution — which means there is opportunity for designers and developers to evolve themselves. Preview: Graphic designers can be there along the way too when it comes to software or hardware, but I don’t know that many of us realize that there are these doors that are available for us to walk through and help out, and there are some tools out there where you can learn these machine learning systems and there are companies out there that do want to have dialogue with the users, and my advice to any designer or illustrator or web developer is get at that table and be part of that dialogue. This episode is also brought to you by Sidecar. Sidecar was built by the team at Focus Lab to educate and empower creative professionals. Sidecar shares industry experience that touches on subjects like best design practices, effectively communicating with clients and more. 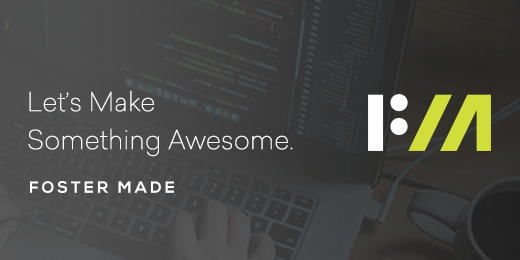 Sidecar isn’t just about teaching, but also about doing. Their digital store provides assets that help speed along the design process for a variety of needs. 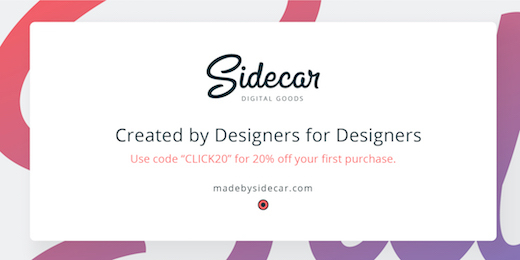 To learn more, head over to madebysidecar.com and use promo code “CLICK20” to receive 20% off on your first purchase! Emily Lewis: Today we’re excited to have Jason Tselentis to talk with us about the intersection of AI, design and development. Jason is an associate at Winthrop University where he teaches visual communication design. His writing has appeared in Backchannel , Eye , Open Manifesto , Print and HOW . He also has four books to his credit on design and typography principles and design history. Welcome to the show, Jason! Jason Tselentis: Hi, thanks for having me! Lea Alcantara: Absolutely. So Jason, can you tell our listeners a bit more about yourself? Jason Tselentis: Yeah, I’ve been teaching at Winthrop University. I think this is my 10th year now. Jason Tselentis: Yeah, yeah, and Winthrop is located in Rock Hill, South Carolina. It’s pretty close to Charlotte, North Carolina. It’s maybe a 20- to 30-minute drive. Prior to being here in the Carolinas, I lived and worked and went to school in Seattle, Washington for a couple of years where I went to grad school. Jason Tselentis: I don’t have to shovel snow, and I don’t have to worry about putting my wallet and my cellphone and everything in Ziploc bags as much as I did in Seattle. Lea Alcantara: Oh, yeah, that’s true. Jason Tselentis: Yeah, the amount of noise is just mind numbing. Jason Tselentis: Yeah, it’s like daily cleanup, and I’m out there raking and bagging probably two to three times a day and my wife and kids are doing it. Jason Tselentis: The other morning I was up at about 5. I’ve a new puppy who likes to get up and do the business early. Jason Tselentis: And it might have been like 5 or 5:30 and I saw the leaves. I walked the dog, I came home, and I said, “Okay, let me just do some raking.” I can do it quietly because I rake. Jason Tselentis: I don’t use the leaf blower. Jason Tselentis: And I got maybe one or two bags in before the sun came up. Emily Lewis: Nice. We’ve discovered we have two massive mulberry trees that have an insane amount of leaves, but my boyfriend, Jason, he decided that instead of raking, he would mow them and it actually works. Emily Lewis: He just takes the lawnmower out and mows them. Jason Tselentis: Yeah, yeah, we do the same thing. Jason Tselentis: There are some days when I really don’t even need to mow the lawn. Jason Tselentis: But my wife or my kid, my son, will get out there and do that, and then it is a whole lot easier. Emily Lewis: Before we get into the details of artificial intelligence, can you define it for us? Is it the same as machine learning? Jason Tselentis: I think the thing that probably is striking most people about the time we’re in right now is that these words are being used an awful lot and they tend to be used interchangeably, and that can be confusing for the general user or the designer who may be looking to use some of these tools. But in the most basic kind of sense of things, artificial intelligence is this area of computer science that deals with trying to simulate intelligent behavior in computers. Jason Tselentis: But the bottom line is that there are some things that we as humans do that computers cannot. Jason Tselentis: So I don’t think we’re ever going to reach a point where we have computers that are purely intelligent beings like we are, but in a nutshell, that’s what artificial intelligence is, and machine learning, it’s one of the things that help teach a computer or a piece of software or a piece of hardware how to do these things or how to be intelligent, so you can use machine learning to develop artificial intelligence, and the two things, AI for artificial intelligence and machine learning or ML, they do get used quite interchangeably, and I think that at the end of the day, you’ve just got to come to terms with the fact that these are different things. Jason Tselentis: And they’re being used to make some of our work easier. Lea Alcantara: Right. Because I think one of the things that fascinate me about this topic is what you just mentioned is kind of that misconception or overlapping ideas of artificial intelligence and machine learning, and when people hear those terms, the first thing they think of is Skynet and science fiction. Lea Alcantara: So I just wanted to get that out of the way because I know people are immediately already thinking about that, but it isn’t, right? Like it’s something that we’ve all kind of already have been using. I mean, that was the point of computers being invented to aid in tasks or repetitive tasks or things to make things easier for people to do their jobs as opposed to replacing human thought completely. Jason Tselentis: And my boys and I had already seen it so for us, it was — I don’t know — maybe the third or fourth or fifth time we’ve seen it. Jason Tselentis: My wife hadn’t seen it so we were having to kind of explain to her because she wasn’t as familiar with the movie and she came in the middle of it. But anyway, that is the kind of paranoia I think that we’re gripped by is that this is the next step and whether it’s ten, twenty or a hundred years from now, these things could take over, but it really is just paranoia. Jason Tselentis: That’s the way I look at it, and truth be told, I love science fiction. I’ve read science fiction and watched shows, comic books I’ve read for years, and I don’t know that we’re ever going to get to that point, but I think that in the short term, what we do have to realize is that the things that we use, software, hardware, cars, these things are going to be utilizing advanced systems to either help us with work or to do the work. Jason Tselentis: Yeah, that could happen now with our without artificial intelligence if you forget your password, for heaven’s sakes. Jason Tselentis: But there are some of these tools that are already out there, and designers and illustrators are using them, and I think that if anybody is up to the task of learning how to work with machine learning at a computer science kind of hardnosed deep level, that they’re going to be ready for the next wave of jobs and this next pivot that’s going to happen. Emily Lewis: Yeah, that’s exactly what I was thinking. I was watching some… I’m addicted to CBS Sunday Morning , and they had a special about these automated trucks, the big rigs. Emily Lewis: And they had one of the journalists, it might have been Mo Rocca, I can’t remember, but there was a driver in the truck, the truck was doing all the driving, but there was still a driver, and he was sort of discussing about that his role, it’s being replaced if you want to get into the semantics, but it’s more like it’s evolving. The truck can’t have all of the things that humans have in terms of like response and processing in this situation of driving a truck, so he’s there to assist and to understand how the truck is working and all that other stuff. So his job has just changed what he has done, and even more, he as a driver with 30-some odd years of experience on the road is helping inform how they build this machine that drives this truck, the artificial intelligence behind it, so he has a role, he has an important role in it. It’s just him having to redefine how he views it. Jason Tselentis: Yeah, I saw that episode. I too love Sunday Morning . Jason Tselentis: And I can sit there and watch it as it’s playing, it’s on my DVR automatically recording every Sunday. Jason Tselentis: Isolation, yeah, the emotional and psychological components, and one of my neighbors used to be a truck driver, and he really wound up with some bad back problems, and I’m incredibly sympathetic when it came to him telling me about the kind of work he did and the long hours, and the thing about those tools helping or assisting the driver is that, that’s a perfect example of making light of the work for that human being. Jason Tselentis: And also maybe upping the quality assurance because that’s important, too. Emily Lewis: So I mean, that’s an example in the real world of where this is already having an impact, but let’s turn that idea to design. Where is machine learning or AI tools already in use in the design field? Jason Tselentis: Yeah, there are some things that are out there in the way of tools and applications and it could be some things that people may just take for granted. I think one of the things, just in terms of scheduling, not many think about it, but if you’ve got your Google Calendar enabled to automatically add dates based on things it finds in your email, that’s the kind of automation that is taking care of things for you. Jason Tselentis: And you could call it artificial intelligence, you can call it automation, but that’s the kind of assistance that we’re hoping that these advances are going to give us, and for actually an article I wrote for HOW , I had the pleasure of learning about x.ai, which is this calendar feature or this calendar tool. Basically, it’s a bot that gets tied into your email, and it kind of steps in there and it will drew a series of conversations that, for example, you and I might have to set up even today’s appointment for the doctor or whomever it is. What could happen is that you pull in this x.ai bot and it takes over the conversation and it will reply like, “Hey, I see that we’re trying to get an appointment scheduled for you to do this, that or the other,” and it will make it for you, and it does it all. So in terms of productivity, there are those kinds of tools. But on the design end of things, I think that’s where a lot of graphic designers and illustrators are starting to maybe worry on one hand, or maybe just be curious. Jason Tselentis: There are some things that Adobe has been doing, and I recently got a glimpse of some of the stuff they released in I think it’s Creative Cloud 2018 where Adobe is starting to use some of its own machine learning tools and plugging them into some of the Adobe Creative Cloud apps. But then online, online with web design for a few years now, there has been a tool out there called The Grid, which has promised to develop websites using artificial intelligence. Jason Tselentis: And it could also make some decisions for you in so much as what kind of template or theme or color scheme would you want to use. There’s another service out there too that’s very similar called Firedrop, I think that’s the name of it, but those kinds of services may be targeted towards small businesses and startups who may not know where to go to get a website or may not even know what a graphic designer is, and they come across these services and they use them and it gets them up and running pretty quickly. But how does that impact designers? How does that impact the professionals? Jason Tselentis: That’s the big question. Emily Lewis: Having not seen these before, but just I’m looking at their websites right now, I wonder if this is essentially like a little — I don’t even know the terms for this stuff, but what you were saying, it’s something that almost having a conversation with you to help you make the decisions about like what kind of template you want, so speaking in a language that someone who’s not technically savvy can understand. Maybe the bot is asking them questions of like, “Well, what do you want on this page? Do you want some images or do you want something else?” And so then it makes decisions for you without you having to be intimidated by terms like templates or themes or alignment, you know? Emily Lewis: It’s kind of no different than… it’s not that it’s no different, it’s just another version of like a Squarespace or a Wix where someone who doesn’t really have the time or the money or not even sure if they need a website right now, but they kind of test the waters and get into it, it’s the templated system that lets get them up and running quickly, this just sounds to me like that just makes that stuff a little bit easier for people who may be even less technical savvy then getting into Squarespace and setting it up themselves. Jason Tselentis: Absolutely, yeah. It’s kind of a supercharged version of those content management systems. Jason Tselentis: And I think Wix even has their own. I think it’s called Wix ADI, and it is a lot like what you explained. It’s there to move with you through the process. Jason Tselentis: Yeah. It’s funny you bring that up because all along when this discussion really started to ramp up, maybe even as far back as like 2013 to 2015 about artificial intelligence and how it’s going to impact designers, I’ve had Clippy in the back of my mind. Jason Tselentis: And I do tend to even like tweet out some of the animated GIFs of Clippy anytime I’m having these conversations with designers because it is a lot like that kind of assistant that Microsoft had in mind when they injected Clippy into Word. Lea Alcantara: Well, what I find interesting about all of this because we kind of led with a little bit of paranoia and the worry and how do AI and these particular types of services fit in with professional graphic designers? How will that affect the industry? I feel like it’s always been the case even when people talk about like print versus digital. It depends on the point of the project and the point the client is trying to make, like there’s going to be people that will never need, never want or can never really benefit from a fully custom design. It’s just doesn’t fit in their business model or whatever purpose their project is going to be. It’s the same thing with why would somebody hire Pentagram and spend millions of dollars on a logo and a brand system when they could go to 99 Designs and get like a $100 logo. Emily Lewis: More like human thoughtful creative design as opposed to just like cranked out design. Jason Tselentis: Yeah, yeah. Somebody had to make those templates. Lea Alcantara: Somebody had to make those decisions. Jason Tselentis: Yeah. Somebody had to make those decisions and create that series of “If thens” and that services of choices. Emily Lewis: I also wonder, I’m not well versed in what artificial intelligence is capable of at this point in time, but I wonder if it’s even possible, especially as in the web industry, Jason, we’re talking a lot about web design and having it an emotional intelligence to it, having empathy for your client or your user, and how those really inform the design solutions that a designer creates, and I just wonder those are human emotions, if a machine could actually understand what empathy is or understand the nuances of what a client needs based on their budget and all that other stuff and how they might be gun shy because of a previous relationship with a designer and all the things that are sort of the human aspect of engaging in a design process with a client or on a project for an employer or whatever. Jason Tselentis: Yeah, and that’s why I tend to think that the human is always going to need to be there, but let me run you through a scenario that I was recently in and this was a few months ago. I had an issue with a piece of technology of mine, and I had a couple of choices about how to troubleshoot this. I troubleshot this and tried to fix it myself which I did, and I just wasn’t able to. At that point, I said to myself, “Well, I’ve got to take this into a store or like a service area or something and have this thing fixed, but I instead opted to go to Twitter, and I found a service area that I could contact through Twitter, and I begin a DM, a direct message, with this service area, and what happened was there was a series of conversations through Twitter and they were making recommendations and I was responding and saying, “I’ll try this, and I’ll try that,” and after a day, I did some of those steps and it turned out that things were starting to work better and things were fixed, and the next day I replied and I said how thankful I was and it was the first time I had used a direct message on Twitter to do this kind of thing, and they replied back and it was, you know. So throughout the entire process, I had presumed that I was working with a human. Jason Tselentis: But what if I wasn’t? What if this was a bot? Emily Lewis: Hmm, do you know? Jason Tselentis: And some of the responses tended to populate in the Twitter DMs back and forth pretty quickly. Jason Tselentis: I’m kind of a fast typer and I’ll use Siri here and there or I’ll use other kind of a voice recognition or dictation software here and there, but yeah, so there could be context where because of this division, so to speak, where we’re communicating via a screen with somebody or something, there could be these divisions where we don’t even think about things like emotions or body language or emphasis or anything like that. Jason Tselentis: Yeah, it does force you to kind of be constantly skeptical or constantly on guard, but it doesn’t have to be that way, and I think in time, some of the curtains will be opened up and some light will be shed on what is a machine and what isn’t and are you working with a bot or are you working with a human, and I think that we might need to have a little bit more transparency when it revolves around some of those things. Emily Lewis: Yeah, as you were talking on that, what’s occurring to me that if you are transparent, then you know what you’re dealing with. Lea Alcantara: And the other thing to note too is that it’s humans that are creating these conversation and decision trees as well, so somebody has to make a decision over how this bot will respond or speak to you and that needs a human component. What I’m fascinated with is that right now we’re talking about convenience and the way that we can make things easier for people’s lives or their work and everything, but there’s still a major cultural component when you’re dealing with AI and I could think about one of the biggest setbacks in regards to that is even when you put a ton of context into a very intelligent machine learning software, that it can make a ton of errors that humans already automatically, due to our nature, [laughs] understand is incorrect, and the first thing that comes to mind is Google’s image search and there was this controversy where somebody looked up gorillas. Lea Alcantara: And you know where I’m going to go with this. Lea Alcantara: And there was a racially-charged response instead, and this could be gamed easily by people who incorrectly tag certain images, right? Another thing, too, somebody searched like a group of people or something like that, like basically a group of people, and based on image search algorithm, a lot of it is just looking for specific shapes, so shapes that are common. So if it looks like there’s a group of humans huddling, that’s got to be just a group photo, but then if it’s not correctly associated by a human, it could be misconstrued that certain groups. Group photos are not the same as other group photos. So if someone is looking for like a party photo and then they actually found a photo of war, groups of people, like the controversy that I’m thinking of is not — like I don’t have the article in front of me, but basically like there was a Holocaust photo that showed up when it was supposed to be an innocent group party photo, like it was like a happy search and instead that was what was associated with it. Lea Alcantara: And I think that really underscores the limits of AI where you can put in as many inputs as you want, but the emotional and cultural context and sensitivity, that’s all human. Jason Tselentis: Yeah, that is going to be as good as what we provide. Jason Tselentis: And you’re talking about things like bias. Jason Tselentis: And you’re talking about things like context, and that really will come about when we get to the more advanced stages of recognizing that that needs to be part of this discussion. Jason Tselentis: It needs to be part of the computer science equation that constructs all of this, and it also just needs to be a part of what we, as humans, are aware of when we’re working with these things. Jason Tselentis: And it could be pretty easy to just focus on the tools themselves and making the tools work, which a lot of tech companies have been in the business of whether it’s Google or Apple or whomever it is or Adobe, they’re really not only in the business I think of just getting these things to work, but I wholeheartedly believe that they do have our best interest in mind, and they’re going to correct an issue or any problem that come up, and it’s going to be a long road. Jason Tselentis: It is going to be a long road. It’s not going to be anything that’s immediate to even get these things to work in some capacity, but it’s also going to be a long road to get these things to work the way we want them, hence, to work ethically. Emily Lewis: And I feel like that introduces the reality that there’s opportunity here, that it’s not always about replacement, but that there’s a way for all of us to evolve our professions, like I hope I’m making websites until I’m not working anymore, but I don’t know if there will be websites then. [Laughs] I’m not really sure what it will be so you have to evolve, and if AI is going to be a bigger part of things and tech companies are making these investments, if they’re not doing it now, they will eventually through necessity have to start hiring humans to filter in the quality data to filter in those cultural cues to factor in empathy and things like that. Jason Tselentis: Yeah, and to go back to the CBS Sunday Morning episode you were talking about with the truck driver and the automated truck, graphic designers can be there along the way, too, when it comes to software or hardware, but I don’t know that many of us realize that there are these doors that are available for us to walk through and help out. Jason Tselentis: And there are some tools out there where you can learn these machine learning systems and there are companies out there that do want to have dialogue with the users, and my advice to any designer or illustrator or web developer is get at that table and be part of that dialogue. Lea Alcantara: So in regards to that, like if someone wants to be a part of that dialogue, I mean, they need to learn as much as possible about what AI can offer in the first place. So what should designers be learning? Jason Tselentis: Yeah. That is the $6 million question. Jason Tselentis: But yeah, having been involved with all of this stuff myself for years, even if I go back to the 1980’s when I was just a little boy and I had a couple of computers in my house, including a Macintosh Plus, what I’ve observed is that at every transition point, you’ve got to learn something new. Jason Tselentis: So a lot of people talk about the Macintosh Plus as the pivot point and desktop publishing as the pivot point from analog and hands-on and light tables and RubyLit and Letraset. Jason Tselentis: So you had learning the computer and you had learning that software, and then fast forward to the 90’s and the web, you had HTML and you had learning other tools and other systems to get online on the web. I think that what we’re observing now is this need to have a basic understanding of some computer science and some machine learning principles. Jason Tselentis: And if I was to go back to school, that is one of the things that I’d look at really seriously, would be computer science. A few years ago, people went back to school to learn the web and HTML and programming, but I think today all those things matter just as much, if not more, and machine learning and artificial intelligence should also be part of the curriculum. Emily Lewis: Is that like logic, like understanding how logic works in software? Is that kind of what you mean about getting familiar with the computer science aspect? Jason Tselentis: It could be logic, it could be calculus, and there are so many people who are much, much smarter than me [laughs] when it comes to any and all of this stuff. One of the people that I’ve really looked at and admired is Pedro Domingos who is out of the University of Washington. He’s at their Department of Computer Science and Engineering, and he wrote a book called The Master Algorithm , and it covers everything from the simplest notion of what artificial intelligence is all the way up to this notion of a master algorithm, and I’m not even going to try to explain it. Jason Tselentis: But yes, I mean, logic, calculus, computer science, machine learning. Yeah, I think any and all of that is going to be valuable, and even just systems thinking, which many graphic designers are capable of and we do that on a daily basis, whether it’s a visual system we’re looking at or even kind of the functionality of how things work from the perspective of user interface and user experience, but yeah, I think that I would recommend just going knee deep in computer science and engineering. Emily Lewis: Are you seeing any of your students right now recently kind of grappling with this idea or really not wanting to go in that direction because it feels so different from the creative process, or is that not something that up and coming graphic designers are thinking about just yet? Jason Tselentis: So I’m glad you brought that up [laughs]. Jason Tselentis: Because having taught for a couple of years now, well, over ten years in the university system, I’ve observed a couple of things happen from the students’ arc of coming in as freshmen and then leaving as seniors, so they come in as freshmen and the arc begins there and they want to get their hands on technology and computers and Adobe, everything, and their MacBook and their iPad, but here at the program where I teach at Winthrop University, our foundation-level courses in design, they’re all hands-on without the computers. Jason Tselentis: So they’re cutting with paper with X-Acto knives. They’re using rubber cement. They’re using markers and inks. So we get them with the hands-on tools first to just get a foundation in making and eventually we get them into the computer and they do a lot of digital work. Many of my students, by the time they’re seniors, they’re very interested in doing some hands-on work with print making, screen printing, it be block printing, it could be hand lettering, so it’s almost as if there’s this kind of arts and crafts regression of sorts. Jason Tselentis: And regression isn’t a good word because regression sounds negative. It’s not a regression. It’s more of an appreciation. It’s more of an appreciation for getting in there, getting your hands dirty and using the tools physically and separating themselves from the screen. So for the past couple of years, I’ve observed that as more of a trend than, “Hey, let me get in there and mess around with TensorFlow, which is I think one of Google’s machine learning tools or apps or languages or let me get in there and mess around with developing algorithms. So maybe that will change in the next couple of years. I don’t know, maybe we’ll just continue to have this interest that designers and illustrators and everybody else has of the more traditional or the more hands-on craft. Emily Lewis: You know what, it’s interesting that you bring that up because it was a Twitter thread, and there’s no way I’m going to be able to pull it up right now because it was like a week ago, where some people were commenting that some more science-y, tech-y people were poo-pooing crafting. Emily Lewis: It’s just like you said, it’s more hands-on versus maybe it’s in a computer, but the processes behind putting together or building a chair or building a dress or something that’s crafting has that same level of mental processing to find a way for all the pieces to work together on how to construct it, and it is engineering, and so to hear that students are drawn to that, to me, I hear that as they’re just one step away from seeing the connection between something else if when they want to start exploring more computer science or more digital or more engineer-y, science-y kind of approaches to it. Lea Alcantara: So what’s interesting me about this entire discussion is that context is important and I feel like that might be where the shift is, like I’m just positing and spit-balling here. Lea Alcantara: But when you create something with your hands, usually there’s a point to it, so like Emily mentioned like, “Okay, if I’m crafting and making a dress, there’s going to be someone wearing this dress at the end of the day.” And I think back then, like back in the 80’s and early 90’s when people were talking about CompSci, it was just about the joy of programming in and of itself, and I feel like the difference with when you’re starting to think about AI, you’re trying to really think about the context of like, “How can this machine help an actual task to be completed?” Like there’s a purpose or point to it as in calculus for not just for calculus’ sake, it’s there because at the end of the day something is going to happen. This reminds of a conversation I had with a colleague of mine who she has a CompSci degree, then she thought, “You know, I’m going to leave this industry for several complicated reasons,” and she got herself a law degree, an international law degree and everything like that. Lea Alcantara: And then now she works for a tech NGO, and so back again, and I kind of mentioned this in one of our previous episodes. This is the same friend of mine that I am mentioning, and I remember asking her like, “Okay, so did you expect to get back into tech, like what pulled you back essentially?” And she said, “Because now there’s a point. Now, there’s a point to what I’m doing as opposed to if you code just for fun for the fun of just creating texts on the screen and things work in widths, that’s perfectly legitimate.” But for a lot of people, that in and of itself is not going to be what wakes them up at night and excited to start their day, it’s the context as in like the context and purpose of what they’re creating is going to do something, and I feel like the more people try to think about technology in the context of actually helping people’s lives, and right now, like you mentioned, kind of like in the infant stage, so right now it’s just more like task based or system based, “how can we do Point A to Point B” kind of situation, but like diving deeper into it, how can this actually improve people’s lives, I think that will be the real turning point in AI and machine learning. Jason Tselentis: Yeah, and to think about improving people’s lives, we all got to define that on our own terms. Jason Tselentis: I have to admit that and also feeling incredibly guilty because there were a lot of times that I spent my weekends and my long hours at night and then into the morning where I was just trying to learn how to use these tools and just making stuff and just making stuff and just making stuff. Even as far as back as the 80’s when I was using like Mac Paint and Adobe Illustrator 88 where I’m like, “How can I use this? What can I use it for?” And I’d make up these crazy projects for myself and that in and of itself was the joy, and it was kind of self-serving, but it was also building up my own craft. Jason Tselentis: And it was helping me to identify what’s working and what’s not working, but even just the context of some of these things, whether it’s machine learning or artificial intelligence or algorithms, the context for all this stuff, and I think it’s one that graphic designers and web designers and anybody else in a creative profession, they tend to look at the things they do and the things they make and the people they work with and they think, “How does all this going to impact that?” But what very few of us might think about are some of the routine things that we do, and I know at the start of some of the conversations I was talking, calendars and things like that, but just take, for example, like spreadsheets, Microsoft Excel, how many of you used that to work out your budget and manage your projects and budget some things here and there. Jason Tselentis: But what if a tool like Excel was there to help you determine if you should take on a new client, if you should take on one particular client versus another? Jason Tselentis: And that’s that kind of assistant thing, which I was glad you brought up the Clippy thing earlier. Jason Tselentis: And I know that for many graphic designers, many designers can design anything. That is one of their most favorite parts of the job is getting to work with this person or that person and getting to learn about everything from soda to frozen chicken to lawn company services to somebody who wants to start a hair salon and getting with these people. Jason Tselentis: So if we do get to a point where these productivity tools are creeping in and taking care of some of the more rote tasks or some of the more complicated tasks, it might improve things on one hand, but we might also lose things on the other hand. Emily Lewis: Yeah, I couldn’t agree more. When Lea was describing like the joy of building, when I’m writing front-end code, I love it. Emily Lewis: Like it’s creepy how much I like doing it. Emily Lewis: But we just finished a major project that the client heavily invested in web accessibility, which is something that I always like to do, but we rarely have the budget to make the full investment. Emily Lewis: And this was like the perfect convergence of me geek-ing out because of the pure pleasure of doing something new, implementing something that we haven’t had a chance to do before, and then in my head, knowing that this was going to make someone’s experience better. Emily Lewis: It was like the best [laughs]. Emily Lewis: So it fits the way you can reach that point, but then there’s automation as part of that, you know? Emily Lewis: There are tools that I can use to automate to make sure I’m asking, “Did I ask all the right questions about what needs to be here for this page? Have I met all of the requirements to ensure that it’s accessible?” But you can only use that so much so you use it a little bit, but then you use your own human brain a little bit, and so I feel like there’s a way to find to balance. When we get there and we find these tools, maybe we have this great tool that helps us weed out crappy clients, but we’re still going to have to have those conversations. Lea Alcantara: Yeah, tone of voice. Emily Lewis: Yeah, there are some gut things that you can’t ignore, and I think that’s the kind of thing that that might make a developer or a designer stand out as this thing, as this evolution of machine learning and AI perceives as the designers and developers who understand that there are tools to be used, but they’re to be used with some discretion and not to replace what you as a human bring to the table that makes your work special. Jason Tselentis: Yeah, I couldn’t agree with you more. We’ve got to continue to just define whatever our X factor is, you know? Jason Tselentis: Well, because think about it from your own perspective, would you want to just be talking to the bots? I don’t know if we would, and I go back again to that experience I had when I was troubleshooting that piece of tech, and I mean, I still don’t know. I still don’t know if I was communicating with a bot, and at the end of the day, even now, long after it’s happened, if I was, I’m fine with that. Jason Tselentis: If I was communicating with the person, I’m fine with that too. Jason Tselentis: But I think that the value add that we as designers deliver is one that we’re there because of empathy. Jason Tselentis: We’re there because we empathize with the client. We empathize with the needs that they have, and we empathize with their consumers, their users, whomever it is that they’re producing and pushing out, their goods, their services, or products to and for. Emily Lewis: You know, it’s probably not, and that’s kind of if you have your own freelance business or you work for someone, then I think that would be an ethical question, whether that’s an appropriate course to managing clients. Jason Tselentis: Yeah. That would be up to each individual. It could also be up to the contract that you may have with the client. It may stipulate something to that effect. I’ve seen contracts that sometimes do determine what kind of media channels are used, whether it’s email and phone or in-person or because of distance, sometimes you’ll have something in there, a rider about just strictly email, and I don’t know, we may see riders in some contracts in the near future that do stipulate something like that under way, shape, form or reason will designer utilize any bots or automated programs to communicate with the client. We might see that. But what if we don’t? What if we don’t see that and what if it is just up to the designer? Jason Tselentis: I think that it would be severe kind of breach of trust if you were to just switch things over to the bot, and also a bit irresponsible in some ways. Lea Alcantara: Well, what I find interesting about this, we had a discussion about just basically ethics in design. Emily Lewis: Ethics & Technology, yeah. Lea Alcantara: Yeah, yeah, and one of the main things you mentioned when you were talking about like AI and stuff like that and that people should take a look at calculus, take a look at machine learning and take a look at CompSci, so they understand more processes and foundations. Do you think that ethics course may be required in the future for both designers and developers? Jason Tselentis: Oh, my goodness, absolutely. Emily Lewis: I think it should be there now. Jason Tselentis: Yeah, I think it should be. It should be there now and here at Winthrop University, our Mass Communications students and our Journalism students, they’re all required to take a course covering that very thing, and I think that it should be required in not only design curriculum, but also just a designer’s own fundamental operations; what do you define as right or wrong, and how do you adhere to those things, what kind of policies do you have in place, and yeah, that is very important. I couldn’t agree with you more. Lea Alcantara: I definitely think it’s still young. It’s so complicated because I feel like you mentioned your Journalism students and Communication students, and I know definitely lawyers and doctors, all their students are required to take ethics courses, but so far, Technology and CompSci students are not required whatsoever. Jason Tselentis: Yeah, that’s a good question. I don’t know about that. Jason Tselentis: I haven’t looked into whether that’s a part of computer science or even digital information design, but you would think that there would be some kind of media law or media ethics as part of the fundamentals, especially when you get to things like security. Jason Tselentis: Because security is a right, it’s not a privilege, and what are you doing in order to safeguard security and in order to safeguard protection of information. So I would think that that would be part of most students’ foundation experience. Lea Alcantara: I’m going to guess no though. I don’t think it is because that’s why we’re having these particular discussions in tech right now where people are… I’ve been reading some Twitter threads where like Kumail Nanjiani who is a star from HBO’s Silicon Valley . Jason Tselentis: Silicon Valley , yeah, and The Big Sick . Jason Tselentis: Yeah, I’m familiar with him, yeah. Lea Alcantara: Yeah, so he and his group of actors, obviously they did research. They went to the Google Campus and as actors they always ask lots of questions about context and things like that to get into the role, and they asked a couple of like ethical questions as in like, “Well, who’s responsible for deciding if this is the right thing to do, like that this tool should even be made?” And Kumail in the Twitter thread was like they looked at him completely shocked that he was even asking this question. Lea Alcantara: And it said it told him that no one is having these discussions at the Campuses. Emily Lewis: That’s my gut feeling that that’s what’s happening. Emily Lewis: And that’s scary to contemplate in and of itself. Emily Lewis: But then if you add the focus of this discussion where things may be evolving, to imagine that it evolves without that as the foundation, that’s scary. Lea Alcantara: I think that scares me more with the AI and machine learning than anything like in terms of how thoughtful are people being about creating the tools than the tools themselves, because at the end of the day, who created the tools? It’s humans. So any flaws that the tool has is a human-created flaw. Emily Lewis: Well, before we finish up, Jason, you did mention a book earlier on, but are there any other resources that designers, front-end developers should check out if they’re interested in learning more about AI and machine learning? Lea Alcantara: Well, that’s all the time we have for today, but before we finish up, we’ve got our rapid fire ten questions so our listeners can get to know you a bit better. Lea Alcantara: Are you ready, Jason? Jason Tselentis: Oh, probably an introvert. [Laughs] Yeah. Emily Lewis: Right. The power is going to be out for the next week. What food from the fridge do you eat first? Jason Tselentis: Oh, that’s a tough one. Oh, almonds and dates. That’s really my go-to, yeah. Lea Alcantara: Oh, good tip. Jason Tselentis: And I know that’s not really a website, but I do tend to go to Twitter for fun, and really also IMDB. Jason Tselentis: IMDB, the Internet Movie DataBase. Jason Tselentis: I think that’s what IMDB stands for. Jason Tselentis: But yeah, it helps me kind of get up to speed on movies from the past and present and future, and I love movies. Jason Tselentis: Completely, the last thing that I read completely would have been The Information , that book that I talked about earlier. Jason Tselentis: And right now on my nightstand, I’ve got two books that I’m reading and I haven’t finished them yet. One is Ready Player One . Lea Alcantara: Oh yeah, yeah. Jason Tselentis: Yeah, yeah, and I’m on my like third attempt to read that book. I still haven’t finished it. I don’t know what’s wrong with me. I just can’t get through it. Jason Tselentis: I feel terrible admitting that, but then the other book is all about the comic book war between Marvel and DC. Jason Tselentis: So yeah, I’ve got two different things on my side table. Jason Tselentis: I think that the one thing that always just kind of stuck with me is that you really got to have resilience. Jason Tselentis: You’ve just got to be durable and you’ve got to be able to pick things up and get right back out there because it’s not going to be easy. None of it is going to be easy. Jason Tselentis: Oh, golly, yeah. Jason Tselentis: But I cannot remember though for the life of me who that was, but that stuck with me. Yeah. Jason Tselentis: Probably green, yeah. Jason Tselentis: And it’s just such a cute little quaint French bistro and all the artwork there is French and the pastries are amazing, the cookies are amazing, it’s really good stuff. Jason Tselentis: Oh, it’s got to be Monopoly easily, yeah. Jason Tselentis: I love playing chess, too, with my boys, but Monopoly, I’ve got a very special place in my heart when it comes to Monopoly. Jason Tselentis: Usually at the end of every school year, it’s become a ritual. My sons and I will get Monopoly out and that’s kind of how we break into the summer and also just keep on our math skills. Jason Tselentis: Ever since they were in, golly, probably as young as like first grade, we’d play Monopoly, when they were that young. Jason Tselentis: Just to kind of help them keep up with math and stick with math, and my youngest son has beaten me so many times now. Jason Tselentis: He’s getting really good. Emily Lewis: I love that. All right, last question, Hulu or Netflix? Jason Tselentis: I had Hulu for a while, and it’s funny you bring that up this Hulu/Netflix question [laughs] because I’m actually looking to get back my Hulu subscription because there are a couple of shows on there that I really want to watch. Jason Tselentis: But at this very moment, I have to say Netflix. Jason Tselentis: Thank you. It was a real pleasure and an honor and a privilege. Thank you so much for having me. Emily Lewis: In case our listeners want to follow up with you, where can they find you online, Jason? Jason Tselentis: And I’m putting other tips out there about almonds and dates and how to preserve other snacks of mine. Jason Tselentis: And my Twitter handle is @jasontselentis. Emily Lewis: Awesome. This was a really interesting conversation. Emily Lewis: Thank you so much for joining us. Jason Tselentis: Thank you very much for having me. Lea Alcantara: CTRL+CLICK is produced by Bright Umbrella, a web services agency invested in education and social good. Today’s podcast would not be possible without the support of this episode’s sponsors! Many thanks to Foster Made and Sidecar! Emily Lewis: Don’t forget to tune in to our final episode of 2017, which is our annual year in review. Be sure to check out ctrlclickcast.com/schedule for more upcoming topics.